Looking for the best deals on NHL hockey tickets? You’ve come to the right place! 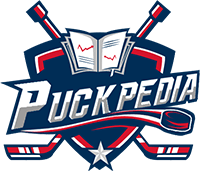 PuckPedia is the ultimate online source for tickets, including everything from cheap NHL tickets to the best seats in the arena, the first preseason game all the way to the Stanley Cup Finals. Finding hockey tickets for sale at prices that suit a variety of budgets is easy at PuckPedia. Simply check out the NHL game schedule then find and purchase your tickets through one easy-to-use site. Use PuckPedia to find NHL tickets for all your favorite teams, including NHL playoff tickets and Stanley Cup Finals hockey tickets. NHL fans can use our secure ticket portal to easily grab seats that offer the excitement they're looking for. Find and compare the best seats and the best prices for all your NHL tickets. Whether you're searching for the best seats or cheap hockey tickets, stay on track with everything that’s happening in the league by tuning in to PuckPedia for the latest NHL scores. Bookmark our site for easy access to NHL live scores and results for recently completed games. You can also view the schedule for upcoming games in each and every city. Everything you want to know about your favorite NHL teams and players is right here! The NHL season structure is divided into the regular season and the Stanley Cup playoffs. The regular season generally runs from early October through early April, and teams play a total of 82 games to determine their standings. Each team plays a certain number of games against teams in their own division, as well as against teams in other divisions. The NHL game schedule is designed to allow all the teams to play in each arena at least once during the season, with teams rotating every season. At the start, each team plays about 4 to 5 games versus other teams in their own division, totaling 26 or 29 games in the Western Conference and 28 games for the Eastern Conference. They also play against all of the non-divisional teams within their conference 3 times, which equals 21 or 24 games for the Western Conference and 24 for the Eastern Conference. The rest of the games for the season will then be inter-conference games, with a total of 32 games for the Western Conference and 30 for the Eastern Conference. Eight teams from each conference will qualify for a spot in the playoffs. The format for the playoff series changed in 2014, with the teams placing first, second, and third in each of the 4 divisions automatically qualifying for the playoffs. For a team to reach the playoffs, a minimum of 95 points is required. Among the teams that compete during the playoffs, the 2 teams with the highest point totals are the wildcards. Divisional alignment is not a factor for the wild card teams, so it is possible for one division to produce both of the wild card teams. Games in October and November are critical. Since the 2008/2009 season, with the exception of the 2012/2013 season which was shortened by a lockout, 62 out of 80 teams that occupied a playoff spot by the end of November ended up playing in April. For more information, insights, and statistics on the National Hockey League, and to get the best seats at the best rates in all the events of the season, stay tuned to PuckPedia.